In brief: LG finally unveiled its latest flagship smartphone, the V40 ThinQ, yesterday. But just as interesting as the five-camera handset was its new Android Wear device, the Watch W7, which combines a smartwatch with the mechanical hands of a traditional timepiece. The Watch W7 isn’t the first wearable to go down this route. The MyKronoz ZeTime, which I tried out last year, is also a smartwatch hybrid that features mechanical hands over the top of a touchscreen display, but it’s not a Wear OS device like LG's model. Like the ZeTime, the Watch W7’s full smartphone mode lasts about as long as its rivals—around two days—but the hands will keep moving for 100 days when in watch-only mode. Another feature also seen in the ZeTime is the way the hands can be moved to a different position for a better view of the display. If you still can’t see things properly when the hands are at 9.15, you can move the whole screen upwards. As is the case with so many smartwatches, the Watch W7 is fairly large (44.5 x 45 x 12.7 mm) and will likely look overpowering on slender wrists, yet it’s still smaller than the LG Watch Sport. The 1.2-inch touchscreen runs Wear OS 2.1, though it is powered by the Snapdragon Wear 2100 processor, which was unveiled in 2016, rather than the 3100 platform Qualcomm unveiled last month. The first devices sporting the latest chip aren’t expected until later this year. 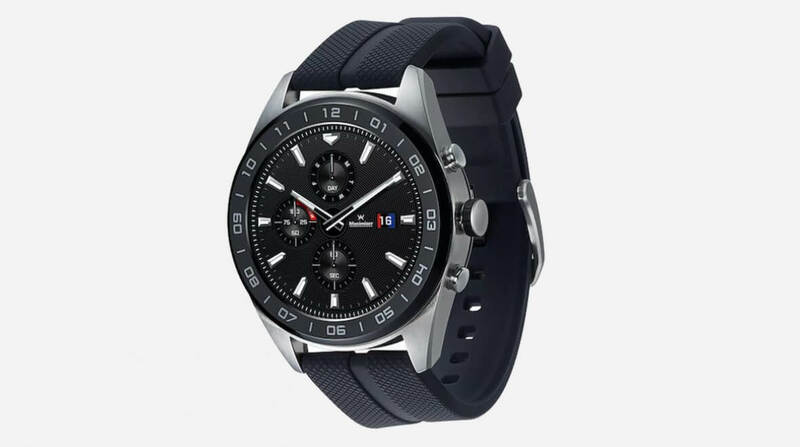 The Watch W7 also comes with 4GB of storage for music and apps, along with a slew of sensors such as a barometer, altimeter, magnetic, pressure, and gyro. It’s IP68 rated, meaning it can be submerged in freshwater for 30 minutes at depths of up to 1.5 meters. The Watch W7 is expensive. When it launches on October 14, it’ll cost $449. It's still $100 cheaper than Casio’s Pro Trek WSD-F30, though that smartwatch is aimed at a specific type of user. We’ll have to wait and see if LG's wearable is worth the asking price.